The Square D Magnum™ Circuit Breaker is tested to comply with ANSI standards and can be interfaced with existing circuit breaker compartment components. The GE replacement breaker is designed for VB and VB1 generations for circuit breakers 5 kV – 15 kV with amperages of 1200 A, 2000 A and 3000 A. It is suitable for industries such as oil and gas, utilities, chemical plants and industrial facilities. 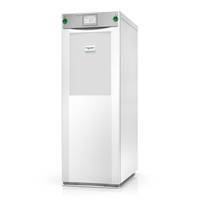 The unit is rated to NFPA 70E standards and is offered in NEMA rated enclosures. 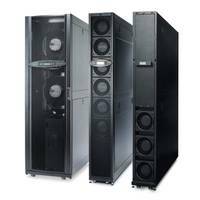 ANDOVER, Mass., Aug. 20, 2018 /PRNewswire/ -- Schneider Electric, the global specialist in the digital transformation of energy management and automation, today announced its GE PowerVAC Direct Replacement, a one-of-a-kind switchgear solution with advanced circuit breaker technology. The direct replacement solution is the latest Square D Magnum™ circuit breaker and is designed to fit directly into a facility's existing GE circuit breakers to replace GE PowerVAC breakers without the need to customize busing and long outages. 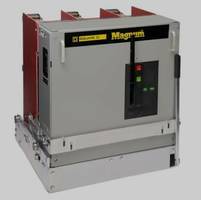 It is the latest addition to the Magnum™ circuit breaker portfolio. The GE PowerVAC Direct Replacement circuit breaker is designed for both the VB and VB1 generations of GE medium and low voltage circuit breakers 5kV – 15kV with amperages of 1200A, 2000A and 3000A. This direct replacement will be beneficial to industries utilizing PowerVAC breakers including oil and gas, utilities, chemical plants, industrial facilities and manufacturing that rely on the breaker for heavy industrial workloads. Schneider Electric's GE PowerVAC direct replacement is designed specifically for interoperability with existing GE circuit breakers. The Square D Magnum™ circuit breaker is built with new components and tested to comply with highly-regarded American National Standards Institute (ANSI) standards. The circuit breakers interface with the existing circuit breaker compartment components and maintain safety interlocks present in the original equipment design. The solution requires little to no modification of the existing cell's interior and the designs of the direct replacement are available to directly roll into the existing cell, making Schneider Electric's Square D Magnum™ circuit breaker the optimal direct replacement solution for GE's VB and VB1 circuit breakers. Providing a replacement solution that fits seamlessly into an existing infrastructure allows for more reliable and affordable part replacement. Its National Electrical Manufacturer Association (NEMA) rated enclosures are designed to protect internal components, guaranteeing a long lifetime. 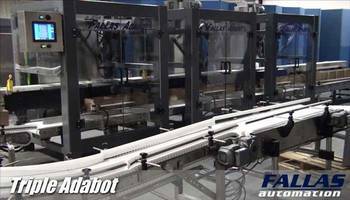 Additionally, it provides facility managers with an option to upgrade and modernize existing electrical circuit breakers, reducing the time-intensive, high cost of buying new equipment. 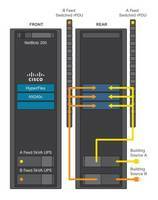 Offering a direct replacement solution eliminates the need for costly downtime during the replacement process and reduces both CAPEX project costs and recurring OPEX maintenance costs. In addition to cost and reliability, the new circuit breakers are compliant with National Fire Protection Association (NFPA) 70E safety regulations and mitigates operating environment concerns and workers' fears of operating faulty equipment. Not only will Schneider Electric's PowerVAC direct replacement increase the availability of spare parts for GE's VB and VB1 circuit breakers, it also increases the availability of options across Schneider Electric's already expansive portfolio of direct replacement solutions for GE circuit breakers. "Facility managers look to Schneider Electric to deliver products that are reliable, safe and cost-effective," said Gabriel Arce, Consulting & Modernization Offer Manager, Field Services, Schneider Electric. "It's critical to deliver a wide array of options of direct replacements that can fit into existing GE circuit breakers quickly and seamlessly. Upgrading with new equipment can often be seen as a burden due to constraints on time and budget resources, but direct replacement solutions are providing easier ways to upgrade existing systems and maintain a facility without power issues that can lead to downtime." 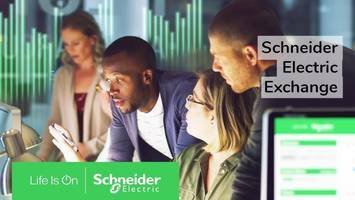 Schneider Electric is leading the Digital Transformation of Energy Management and Automation in Homes, Buildings, Data Centers, Infrastructure and Industries. With global presence in over 100 countries, Schneider is the undisputable leader in Power Management – Medium Voltage, Low Voltage and Secure Power, and in Automation Systems. 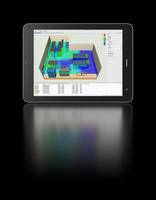 We provide integrated efficiency solutions, combining energy, automation and software. In our global Ecosystem, we collaborate with the largest Partner, Integrator and Developer Community on our Open Platform to deliver real-time control and operational efficiency. We believe that great people and partners make Schneider a great company and that our commitment to Innovation, Diversity and Sustainability ensures that Life Is On everywhere, for everyone and at every moment. www.schneider-electric.com.